BANGKOK - December 2, 2015 - Six Senses Spas has spent the last two years working with some of the most highly respected doctors and wellness professionals including Dr. Mehmet Oz, Dr. Michael Breus and Dr. Steven Gundry to develop an approach to wellness which addresses some of the most common issues people face as a result of their ultra-stressed daily lives. The result is Six Senses Integrated Wellness - an innovative approach to wellness that allows the group’s in-house experts to measure and analyze key physiological biomarkers to provide guests with lifestyle and nutritional advice, and design a personalized program of spa treatments, fitness and wellness activities based on the preventative principles of the Eastern medicine approach and the result-oriented Western influences. There are several building blocks that form the foundations of this concept, including nutrition to help guests understand the basic principles of healthy and nutritionally-balanced eating; sleep health to optimize sleep and understand its benefits on their overall well-being; movement through the variation of high and low intensity exercise; alternative therapies; holistic spa treatments as well as yoga, meditation and mindfulness to balance the nervous system. 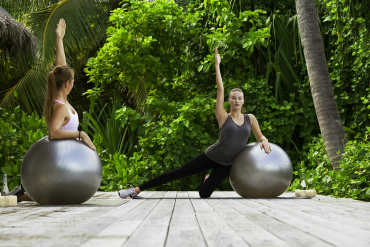 This winter sees the introduction of Six Senses Integrated Wellness through the launch of personalized wellness programs designed by Six Senses in-house wellness experts. Each personalized wellness program begins with a wellness screening which uses a finger oximeter to observe the heart rate, tissue oxygen uptake and distribution, arterial stiffness and stress parameters. Furthermore, the screening technology uses the Electro Interstitial Scan-Galvanic Skin system that provides useful information by measuring and interpreting resistance to the flow of gentle electric current through interstitial fluid (fluid between the cells) throughout the body. In addition, bioelectrical impedance analysis, BIA, is a widely recognized technique for estimating body composition. This information together with in-depth discussions about the guest’s lifestyle, concerns and personal goals, enables Six Senses wellness experts to recommend a personalized wellness program, including daily spa treatments, fitness and wellness activities as well as nutritional advice on foods to favor or avoid during their stay. Each screening is performed by an educated and experienced integrative wellness professional, who is competent to lead guests through results and able to develop customized, results-driven programs. The programs help to address the most common concerns around digestion, weight loss, elimination of built up toxins, weakened immune system, sleep, stress relief, muscle toning or building better stamina. It also helps guests achieve their full potential should they wish to be challenged and improve their current performance. At the end of the stay, each guest receives a post-program follow up consultation during which Six Senses wellness experts provide advice and tools on how to continue and maintain a healthy lifestyle at home. A follow-up wellness screening session is recommended for programs of one week and beyond. The underlying principle of this approach is for guests to take charge of their health, while experiencing joy and fulfillment in what they do. At Six Senses, we believe that without enjoyment, incentive diminishes and the results are simply more difficult to achieve and maintain long term into the future. 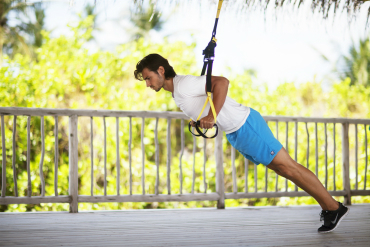 Personalized programs at Six Senses Yao Noi and Six Senses Spa at Soneva Kiri also incorporate a performance test with Fusionetics, an evidence-based sports science platform to help guests understand, monitor and improve their personal fitness levels. Fusionetics is the compilation of over a decade of research and field-testing led by Dr. Michael A. Clark, scientists, sports medicine professionals, coaches, athletes and business leaders who have relentlessly pursued their passion for perfecting human movement. Steven Gundry is a cardiac surgeon, former professor and chairman of cardio thoracic surgery at Loma Linda University School of Medicine. A graduate of the University of Michigan, Gundry has gone on to be internationally recognized as an inventor, researcher and one of America’s top doctors. He is the director of The International Heart and Lung Institute in Palm Springs, California, and the founder/director of The Center for Restorative Medicine in Palm Springs and Santa Barbara. He also specializes in nutrition and is the author of the best-selling book “Dr Gundry's Diet Evolution”. Michael J. Breus, Ph.D., is a clinical psychologist and both a diplomat of the American Board of Sleep Medicine and a fellow of The American Academy of Sleep Medicine. In addition to his private practice for 16 years, Dr. Breus also trains other sleep doctors and consults with major airlines, hotel companies, mattress manufacturers and retailers to provide the optimum sleep experience for their customers. He is the author of “The Sleep Doctor’s Diet Plan, Lose Weight Through Better Sleep” and a frequent guest on The Dr. Oz Show and a clinical advisor to the show as well. Dr. Mehmet Oz has been a professor at the Department of Surgery at Columbia University since 2001. He directs the Cardiovascular Institute and Complementary Medicine Program at New York Presbyterian Hospital. His research interests include heart replacement surgery, minimally invasive cardiac surgery and health care policy. Oz appeared as a health expert on The Oprah Winfrey Show for five seasons. He coauthored six New York Times best sellers including the popular “You: Manual” series as well as “Healing from the Heart.” His book “You: Having a Baby” was published by Free Press in 2009. Oz and the Hearst Corporation launched the bimonthly magazine Dr. Oz THE GOOD LIFE in 2014. Time magazine ranked Oz at 44th on its list of the “100 Most Influential People in 2008” and Esquire magazine placed him on its list of the “75 Most Influential People of the 21st Century. Six Senses Hotels Resorts Spas is a hotel and spa management company comprised of 11 resorts and 31 spas under the brand names Six Senses, Evason and Six Senses Spas. Six Senses operates resorts in far-flung locations of incredible natural beauty known for their distinctive and diverse design personalities. Each of the eight properties is supported by a leadership commitment to community, sustainability and wellness. Six Senses Spas offers a wide range of holistic wellness, rejuvenation and beauty treatments administered under the guidance of expert therapists. Six Senses Spas operates 20 standalone spas in prestigious hotels and resorts as well as located aboard a ship and the premier class lounges of two major airports.